Cooper University Hospital is the leading provider of comprehensive health services, medical education and clinical research in Southern New Jersey and the Delaware Valley. With over 700 physicians in over 75 specialties, Cooper is uniquely equipped to provide an almost unlimited number of medical services. The mission of Cooper University Hospital is to advance the health status of the region’s population through the provision of appropriate health and medical care. To enable this mission, Cooper has invested in the latest audio and visual conferencing equipment and services. 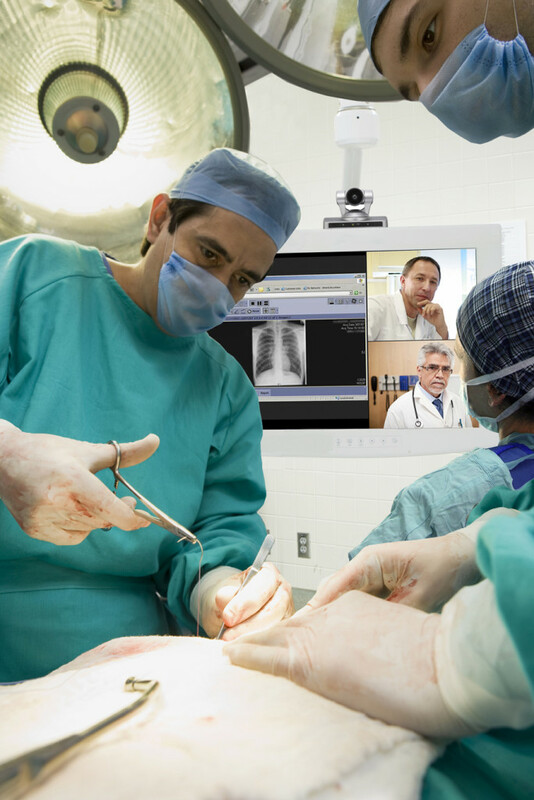 This creates a no-hassle platform for doctors, boards, cancer teams and others to meet remotely. Because of the advanced infrastructure, digital microscopes can be reviewed and clinical decisions can be made immediately. Cooper is leading the future of distant learning with the latest technologies, translation services and more, all made possible through the audio and video conferencing equipment and infrastructure. Prior to finding Cenero, a leader in audio visual technology, Cooper did not have a comprehensive strategy to handle their diverse AV infrastructure that included large training rooms and a range of high profile board and conference facilities. While researching design partners, Cooper discovered Cenero and their managed services offering could provide the streamlined support required for maximum hardware uptime. Cenero’s managed services offering, Constant Connect, delivers the ability to conduct proactive closed loop tests to turn on and exercise devices and review quality metrics to ensure 100% uptime. Cooper can also connect via video with service engineers for reactive support at the touch of a button if they ever have questions or need immediate support. In addition, reports are available through a web portal providing detailed analytical information on system performance, usage analysis and asset management, allowing the IT department to gain the most value from their AV technology investment. The advancement of the technology allows for Cooper to lead the industry in innovation and medical achievements. The bottom line though, besides cost savings, equipment reliability and risk management, is absolute confidence that the rooms and every piece of hardware works at all times.